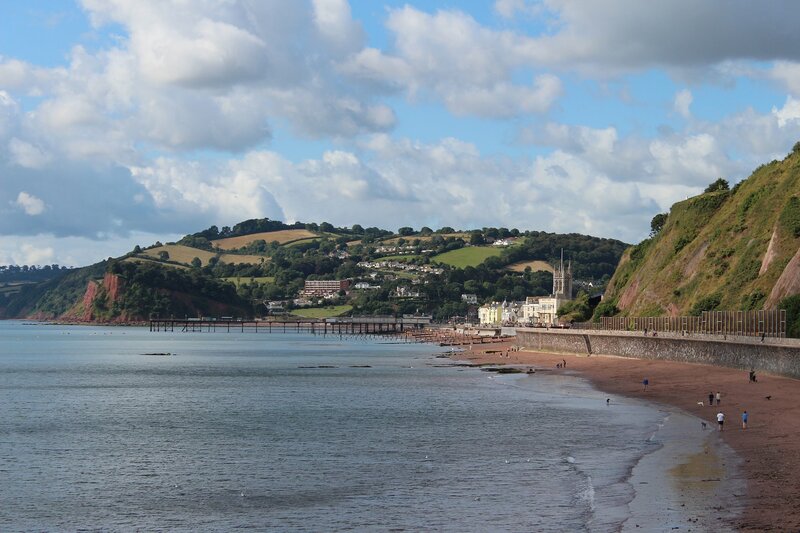 In the late eighties I spent many wonderful summer evenings walking with my family along the seawall at Teignmouth whilst on holiday and it is always a pleasure to revisit this beautiful stretch of coastline. 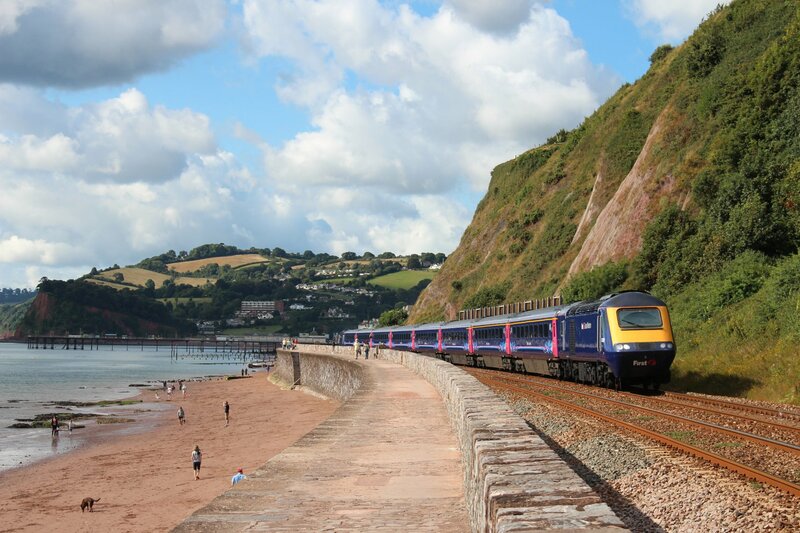 A long weekend in Devon provided an irresistible opportunity to make a return trip. The conditions today were perfect for a leisurely walk, following a hearty breakfast at the wonderful Beachcomber Cafe. Before we set off on our walk along the sea wall we had a look around town and soaked up the delightful view across to Shaldon. Although there have been many changes since my first visit, the essential beauty of this location has not changed. 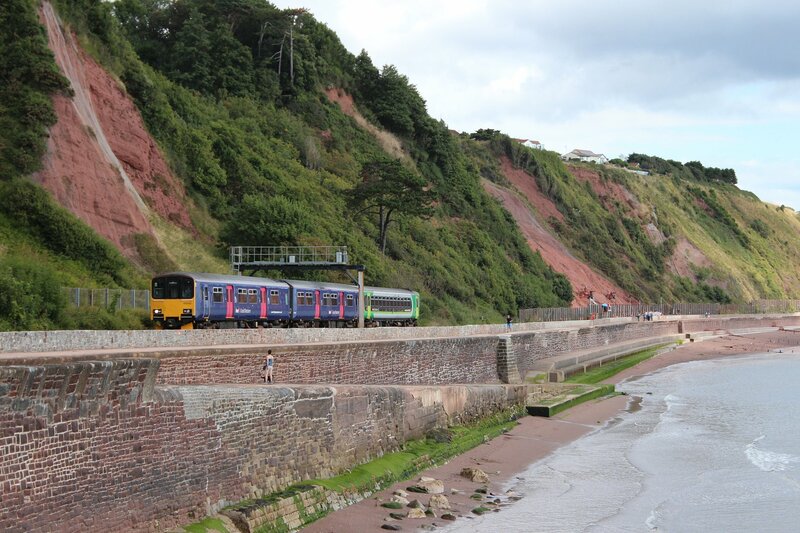 The South Devon Railway sea wall has been major news this year, following the destruction of 100 metres of sea wall at Dawlish in February. 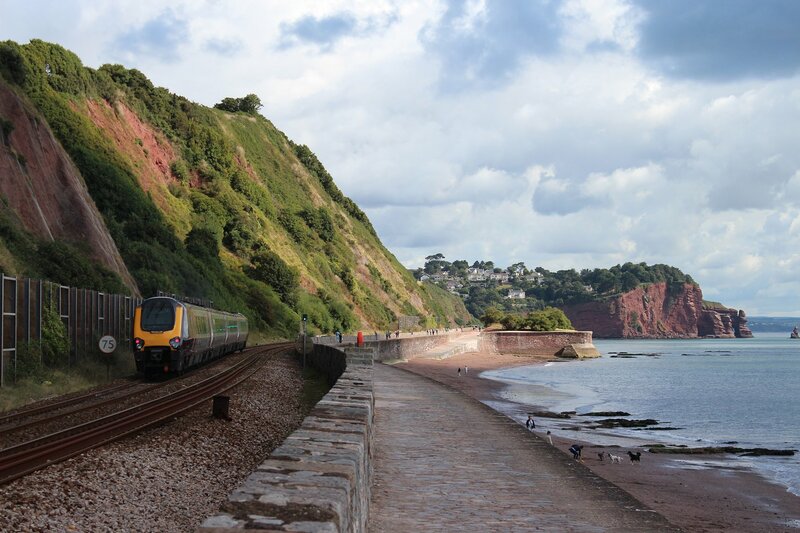 The damage wrought by the winter storms caused a section of the railway to collapse into the sea, severing the mainline between London and Cornwall at great cost to the economy of the south west. The line was shut until early April. 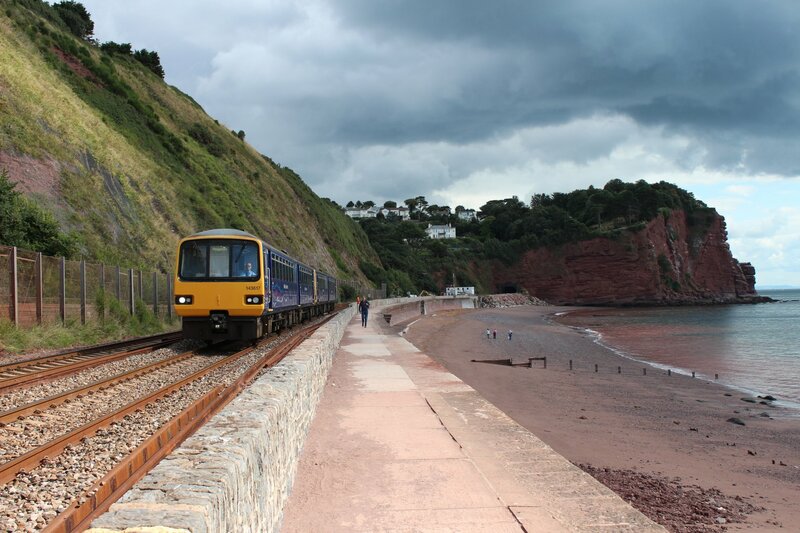 The focus of attention switched to the nearby stretch of sea wall at Teignmouth in early March when it was discovered that 20,000 tonnes of cliff face had sheared away. 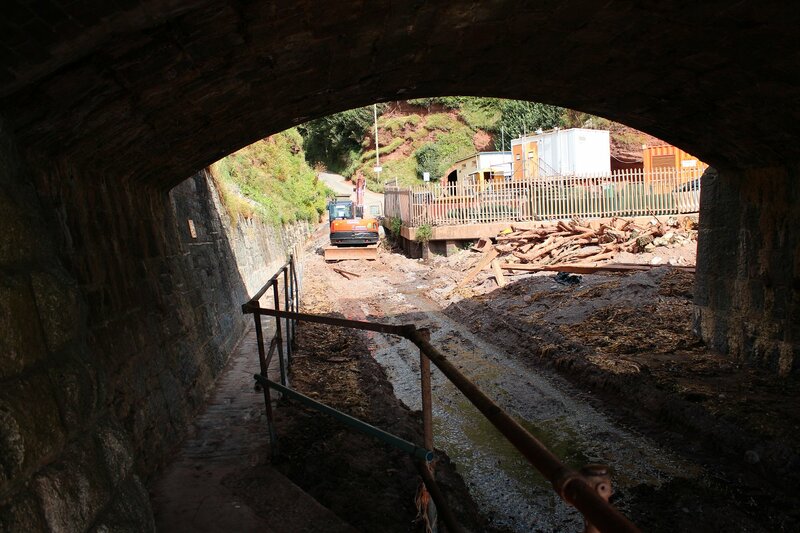 A controlled landslip was carried out later in the month and a water cannon was used to convert the red earth of the slip into slurry. 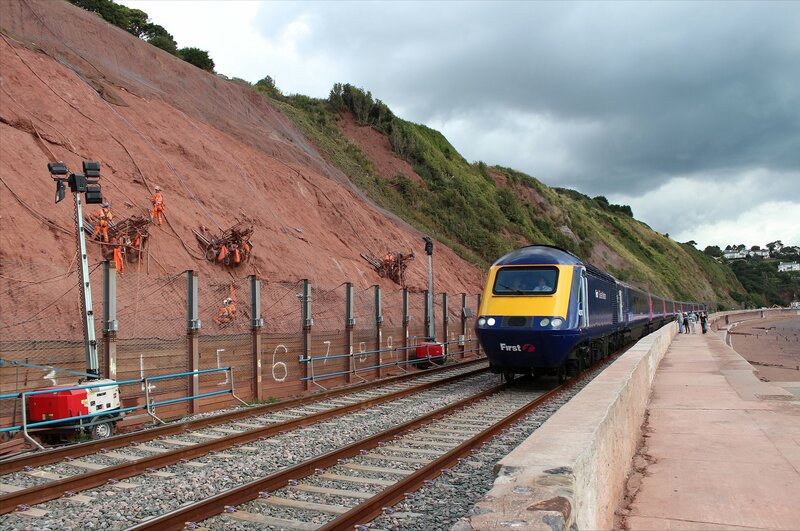 The pictures of the landslip from Network Rail explain entirely why the sea wall between the town and Smuggler’s Lane had to be closed. The contrast with the current situation (as shown below) is quite astonishing. 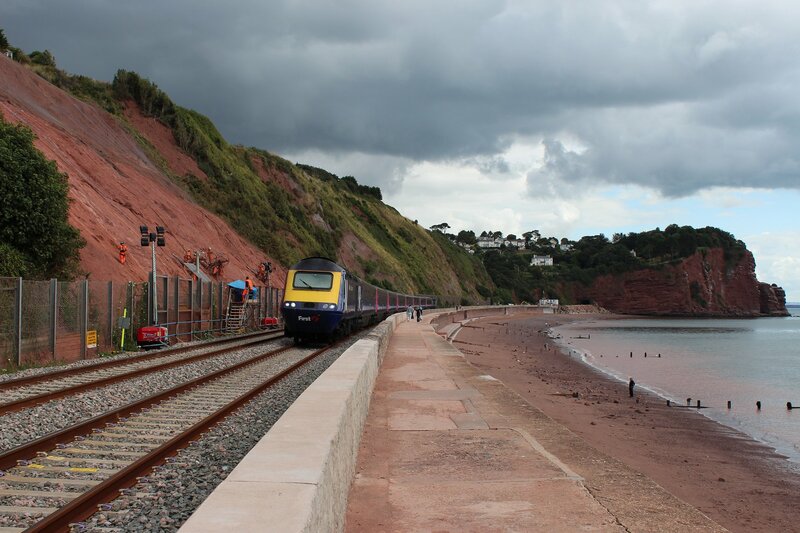 The timing of our trip was perfect – the seawall re-opened to walkers on 19th August 2014. 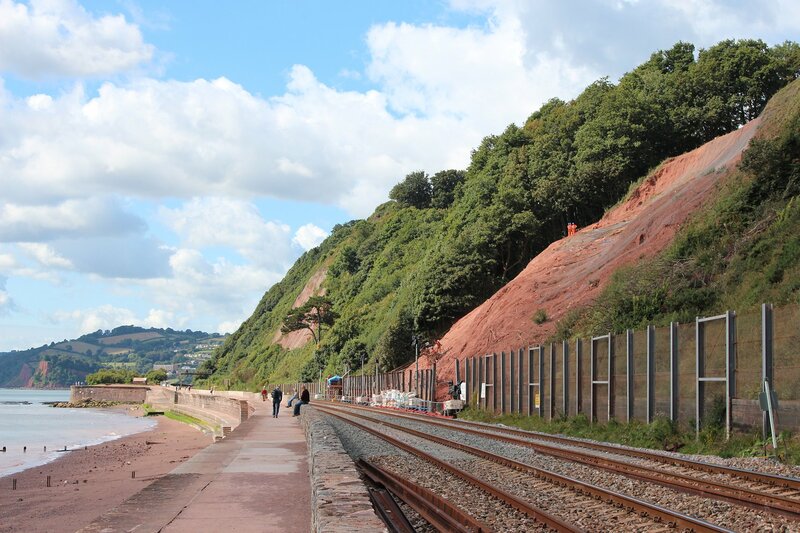 Although there are no significant obstructions, work is still being carried out to stabilise the cliff face and some overnight closures are anticipated. 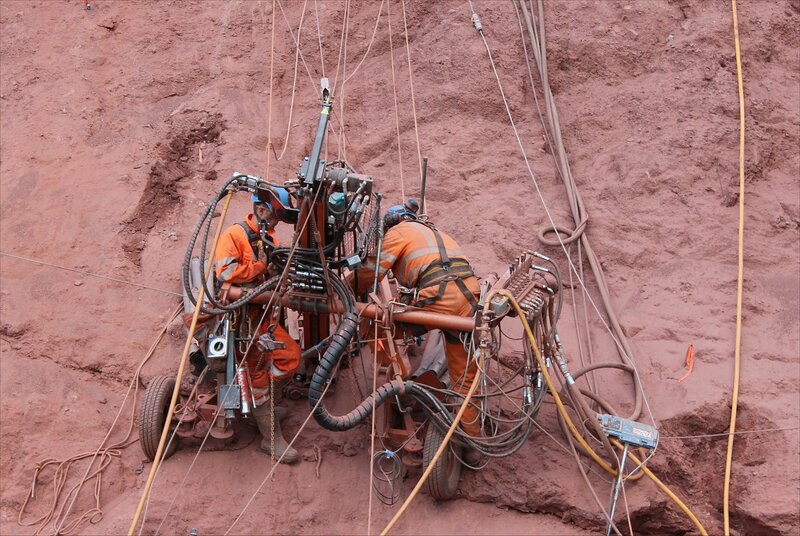 The ongoing work was quite apparent as we passed the site of the slip, with an army of orange suited men clambering up and down the slope on ropes. The views in both directions are simply stunning, particularly with the distinctive sight of the Parson and Clerk rocks at the northern end of the sea wall – so named after the legend of an impatient parson who told his clerk that he would rather be guided by the devil after they found themselves well off course in the foulest of weather. Naturally, a helpful guide soon appeared and led them on their way to a cottage where they were amply supplied with food and drink. When the time came to leave, the men found that their host were demons and that they had indeed been guided by the devil. The parson and clerk were turned to stone, where they remain to this day. It’s a story that I will have to remember when anyone reminds me of my wayward navigational skills! The walkway ends at a set of steps which took us down to a path under the track, connecting the sea wall with Smuggler’s Lane. This is impassable at high tide but was easily crossed when we made our way through in late morning. 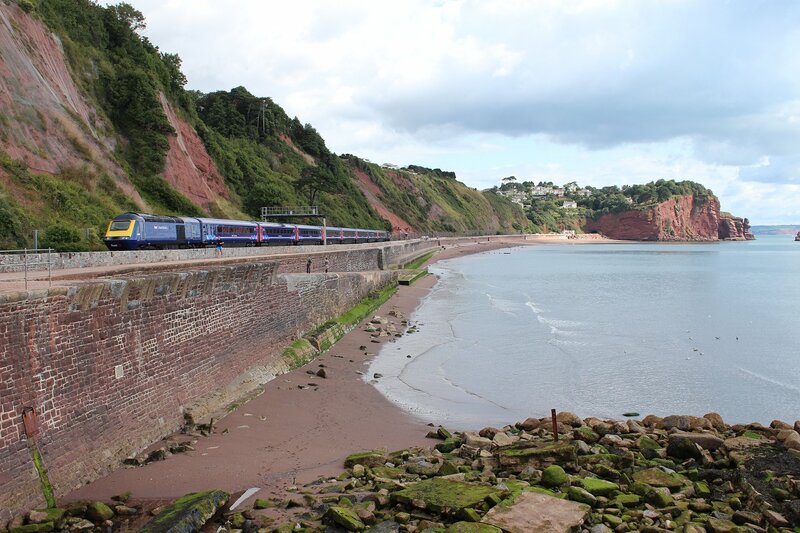 The steepish walk up Smuggler’s Lane (currently only open to pedestrians) allowed us to complete our journey to a hilltop overlooking Dawlish – a gorgeous vista on a sunny summer saturday. 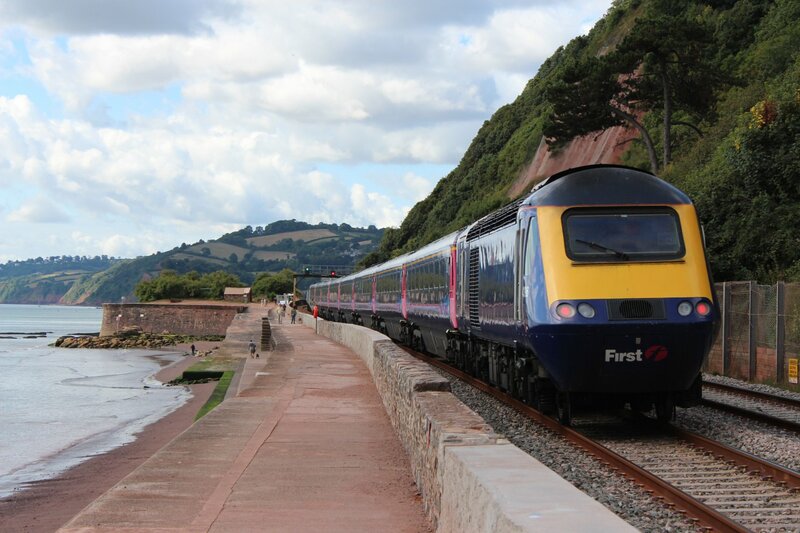 Our walk along the sea wall brought about the familiar sight of HSTs and other trains passing en route to/from Devon and Cornwall (including HST power car 43155 which was officially named ‘The Red Arrows: 50 Seasons of Excellence’ at Exeter St Davids two days ago). 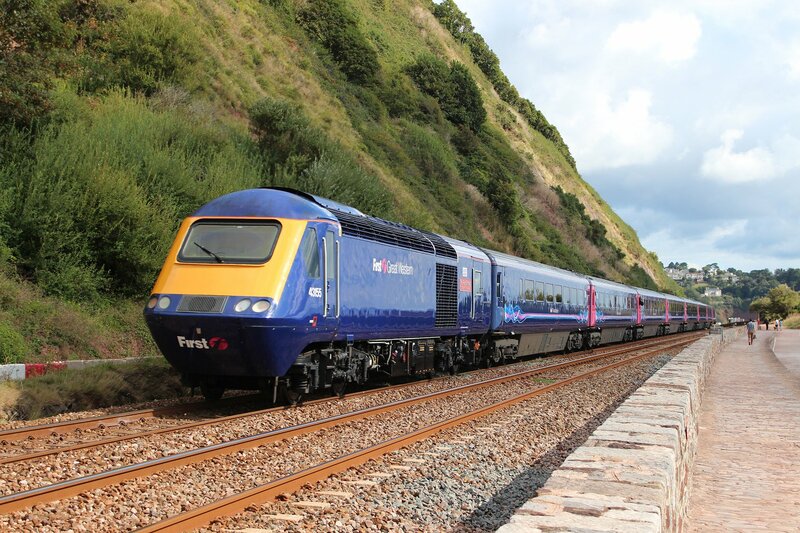 The thrill of seeing a train or two whizz past was just as exciting today as it had been all those years ago.